I am pretty sure that by now, most of us would have gotten sick and tired of various fart jokes out there, and to add more to the genre might require a far more active imagination and awkward situations than you can imagine. 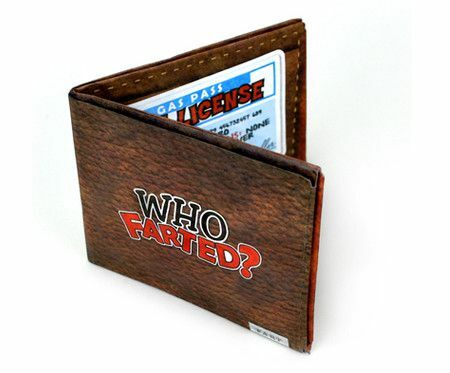 Well, here is a cool wallet that you might want to get if you feel that there is still some wind left (pardon the pun) in such a category, namely the $14.99 Fart Wallet. Each time you open up the Fart Wallet, it will live up to its reputation and make a rip roaring farting sound, although you can be sure that it ain’t gonna stick up the place, which is a good thing.